From the ‘Open Source Runs the World’ files: The inter-tubes were buzzing yesterday with the news of the blockbuster $1 billion sale of Instagram to Facebook. This is a company that is barely a year old and yet they achieved so much in so very little time. 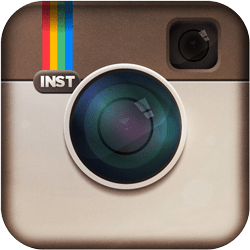 While there are a number of components that contribute to Instagram‘s success, it’s important to realize that Linux is one of them. While the front-end of Instagram is an iOS (and now Android) client there is also a back-end. Instagram’s back-end is powered by Ubuntu 11.04 Natty Narwhal running on EC2. That’s right, though Canonical itself is not a billion dollar company, but it is the core foundation of a company that is. Amazon of course provides a quick way for companies to have scalable infrastructure and with Ubuntu, Instagram’s engineers found the OS base that worked for them to build massive success. Sure there are other open source components at play too, including Apache Solr, PostgreSQL, Redis and Django among others (four months ago, Instagram engineers posted some great detail on their setup). It shouldn’t be a surprise to anyone that open source is at the core of the app revolution, even when the end-users are on the closed system that is iOS. The use of Ubuntu in particular (as opposed to say Red Hat), is proof positive that Canonical’s EC2 approach works and I suspect there will be many more such success stories in the future that will be told. Revealed Instagram’s back-end is powered by Ubuntu 11.04 “Natty Narwhal” running on Amazon EC2, taken from internetnews posted by Sean Michael Kerner.